We’re kicking off our ninth accelerator cohort today with 11 exciting startups using technology to tackle tough social and environmental problems. 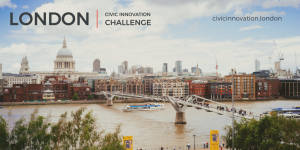 These startups will receive an investment of £15,000 in exchange for 6% equity, co-working space at the Ministry of Startups in central London, and an intensive 12 week programme of mentoring and support – designed to accelerate the growth of their social venture. The 11 teams were selected from over 170 applications. 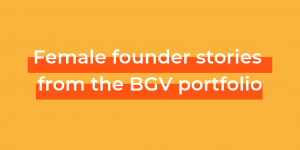 We were really pleased to see the diversity in the applications this year – 36% of the startups that applied had female founders (compared to 35% last year), and 56% of all founders that applied were female. The most common theme in applications was sustainability – with 31% of startups tackling problems in this area, compared with 25% in education, 24% in health and 20% in democracy. Alice SI uses blockchain technology to help charities raise funds based on impact. All donations are held in smart contracts on a secure blockchain, giving donors maximum transparency on the impact their money makes. Babihub is a smart monitoring system that keeps infants and toddlers out of harm in the home or nursery, by putting sensors in harmful areas where the baby might go. BriteLives is a platform that helps older people, their relatives and carers access nearby personal, household and community services. Chatterbox is an online language learning service that trains and employs refugees as language tutors. Data Campfire is a community based learning platform that encourages people to learn about data science by sharing accessible stories about data. E-ccommodate is an app that helps separated parents arrange child care in difficult circumstances where contact between them is forbidden. Health Make Space is a networking platform that allows clinicians and SMEs to work together on innovations in the NHS. It pairs doctors with health tech startups looking for clinical input or advice. Doctors get to include any time or expertise they contribute in their annual professional development review. Immersive Rehab creates VR games that improve the effectiveness of physical rehabilitation. Simulation Sense teaches diagnostic skills to health professionals through an affordable and accessible simulator app. Transport Together is an online marketplace for community transport which maximises affordable transport available to voluntary organisations, and increases the benefits of social interaction and well-being for individual users. 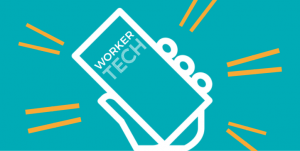 Worktu connects schools directly with experienced supply teachers through an online booking system and app.